National security is becoming a global preoccupation. It drives some of the most important political discussions of today, and is increasingly present in public concerns. From a legal perspective, national security is becoming increasingly relevant in the fields of immigration and asylum law and media law in that can affect newspapers' ability to publish stories which concern national security issues. 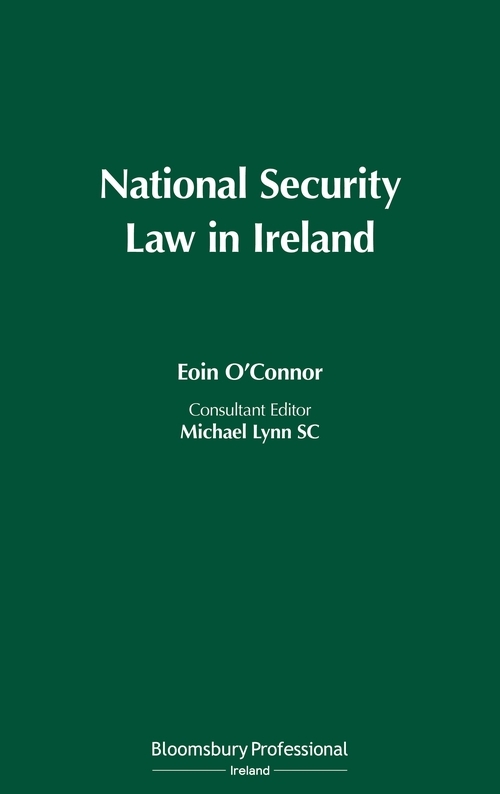 National Security Law in Ireland is the first book of its kind to provide an in-depth examination of the Irish laws concerning national security, in the context of the criminal trial. It covers a wide range of topics such as entrapment, surveillance and interception, the handling of informers, and the constitutional aspects of national security. 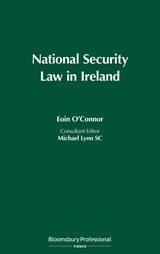 Distinguishing features of the book include a detailed analysis of the Witness Protection Programme, an examination of recent judgments of the Superior Courts on deportation and naturalisation in relation to national security, as well as the most comprehensive examination of the origins of informer privilege and its development in Irish law to date. This book will be ideal for barristers and solicitors working in the areas of criminal law, asylum/refugee law and judicial review, as well as for those working in the Chief State Solicitor's Office, the Attorney General's Office, the Department of Justice, An Garda Síochána, and the Defence Forces. Eoin O'Connor is a practising barrister. He was called to the Bar in 2008 and began practising in 2009. In 2015 he was awarded his PhD which examined how informer privilege affected the right to a fair trial. In addition, he is an adjunct assistant professor in the Law School of Trinity College Dublin.